UFO Visit in 4,000 B.C. India, according to Dr.V. Raghavan, retired head of the Sanskrit department of India’s prestigious University of Madras, was alone in playing host to extraterrestrials in prehistory. Dr. Raghavan contends that centuries-old documents in Sanskrit (the classical language of India and Hinduism) prove that aliens from outer space visited his nation. “Fifty years of researching this ancient works convinces me that there are livings beings on other planets, and that they visited earth as far back as4,000 B.C.”, the scholar says. “There is a just a mass of fascinating information about flying machines, even fantastic science fiction weapons, that can be found in translations of the Vedas (scriptures), Indian epics, and other ancient Sanskrit text”. 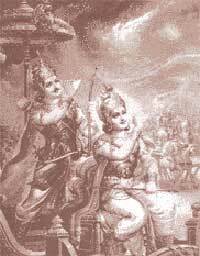 In the Mahabharata (writings), there is notion of divine lighting and ray weapons, even a kind of hypnotic weapon. And in the Ramayana (writings), there is a description of Vimanas, or flying machines, that navigated at great heights with the aid of quicksilver and a great propulsive wind. “These were space vehicles similar to the so-called flying saucers reported throughout the world today. The Ramayana even describes a beautiful chariot which ‘arrived shining, a wonderful divine car that sped through the air’. In another passage, there is mention of a chariot being seen ‘sailing overhead like a moon’ “. – At Rama`s behest, the magnificent chariot rose up to a mountain of cloud with a tremendous din. Another passage reads: Bhima flew with his Vimana on an enormous ray which was as brilliant as the sun and made a noise like the thunder of a storm. – In the ancient Vymanka-Shastra (science of aeronautics), there is a description of a Vimana: “An apparatus which can go by its own force, from one place to place or globe to globe”. The Vedic traditions of India tell us that we are now in the Fourth Age of mankind. The Vedas call them the “The Golden Age”, “The Silver Age”, and “The Bronze Age” and we are now, according to their scriptures in the “The Iron Age”. As we approach the end of the 20th century both Native Americans, Mayans, and Incans, prophecies claim that we are coming to the end of an age. Sanskrit texts are filled with references to Gods who fought battles in the sky using Vimanas equipped with weapons as deadly as any we can deploy in these more enlightened times. In the Mahabharata, an ancient Indian poem of enormous length, we learn that an individual named Asura Maya had a Vimana measuring twelve cubits in circumference, with four strong wheels. The poem is a veritable gold mine of information relating to conflicts between gods who settled their differences apparently using weapons as lethal as the ones we are capable of deploying. Apart from ‘blazing missiles’, the poem records the use of other deadly weapons. ‘Indra’s Dart’ operated via a circular ‘reflector’. When switched on, it produced a ‘shaft of light’ which, when focused on any target, immediately ‘consumed it with its power’. In one particular exchange, the hero, Krishna, is pursuing his enemy, Salva, in the sky, when Salva’s Vimana, the Saubha is made invisible in some way. Undeterred, Krishna immediately fires off a special weapon: ‘I quickly laid on an arrow, which killed by seeking out sound’. Gurkha flying in his swift and powerful Vimana hurled against the three cities of the Vrishis and Andhakas a single projectile charged with all the power of the Universe. An incandescent column of smoke and fire, as brilliant as ten thousands suns, rose in all its splendor. It was the unknown weapon, the Iron Thunderbolt, a gigantic messenger of death which reduced to ashes the entire race of the Vrishnis and Andhakas. It is important to note, that these kinds of records are not isolated. They can be cross-correlated with similar reports in other ancient civilizations. Strong and durable must the body of the Vimana be made, like a great flying bird of light material. Inside one must put the mercury engine with its iron heating apparatus underneath. By means of the power latent in the mercury which sets the driving whirlwind in motion, a man sitting inside may travel a great distance in the sky. The movements of the Vimana are such that it can vertically ascend, vertically descend, move slanting forwards and backwards. With the help of the machines human beings can fly in the air and heavenly beings can come down to earth. The Hakatha (Laws of the Babylonians) states quite unambiguously: The privilege of operating a flying machine is great. The knowledge of flight is among the most ancient of our inheritances. A gift from ‘those from upon high’. We received it from them as a means of saving many lives. More fantastic still is the information given in the ancient Chaldean work, The Sifrala, which contains over one hundred pages of technical details on building a flying machine. It contains words which translate as graphite rod, copper coils, crystal indicator, vibrating spheres, stable angles, etc. 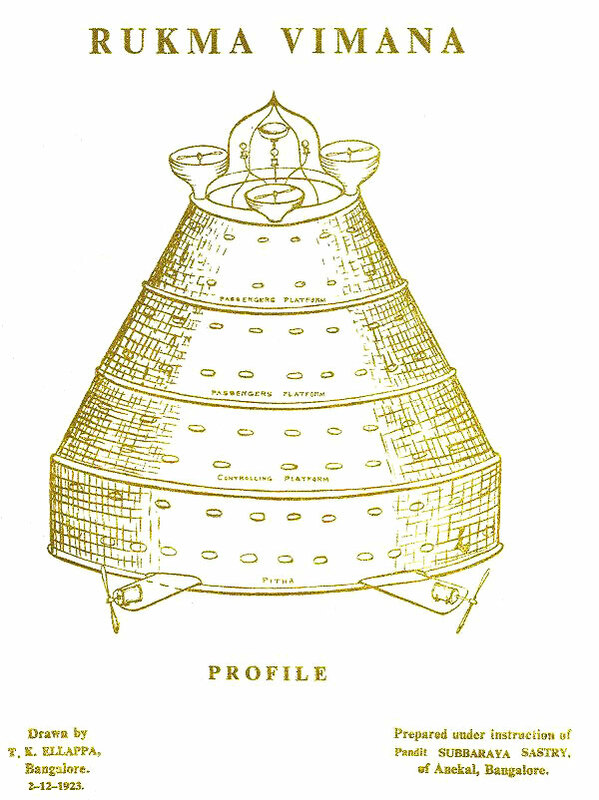 (‘Ancient Indian Aircraft Technology’ From The Anti-Gravity Handbook by D. Hatcher Childress). Many researchers into the UFO enigma tend to overlook a very important fact. While it assumed that most flying saucers are of alien, or perhaps Governmental Military origin, another possible origin of UFOs is ancient India and Atlantis. 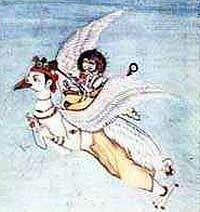 What we know about ancient Indian flying vehicles comes from ancient Indian sources; written texts that have come down to us through the centuries. 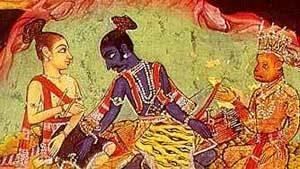 There is no doubt that most of these texts are authentic; many are the well known ancient Indian Epics themselves, and there are literally hundreds of them. Most of them have not even been translated into English yet from the old Sanskrit. The Indian Emperor Ashoka started a “Secret Society of the Nine Unknown Men”: great Indian scientists who were supposed to catalogue the many sciences. Ashoka kept their work secret because he was afraid that the advanced science catalogued by these men, culled from ancient Indian sources, would be used for the evil purpose of war, which Ashoka was strongly against, having been converted to Buddhism after defeating a rival army in a bloody battle. The “Nine Unknown Men” wrote a total of nine books, presumably one each. Book number was “The Secrets of Gravitation!”. This book, known to historians, but not actually seen by them dealt chiefly with “gravity control.” It is presumably still around somewhere, kept in a secret library in India, Tibet or else where (perhaps even in North America somewhere). One can certainly understand Ashoka’s reasoning for wanting to keep such knowledge a secret, assuming it exists. Ashoka was also aware of devastating wars using such advanced vehicles and other “futuristic weapons” that had destroyed the ancient Indian “Rama Empire” several thousand years before. According to Hindu Yogis, it is this “laghima” which enables a person to levitate. Dr. Reyna said that on board these machines, which were called “Astras” by the text, the ancient Indians could have sent a detachment of men onto any planet, according to the document, which is thought to be thousands of years old. The manuscripts were also said to reveal the secret of “antima”, “the cap of invisibility” and “garima”, “how to become as heavy as a mountain of lead”. Naturally, Indian scientists did not take the texts very seriously, but then became more positive about the value of them when the Chinese announced that they were including certain parts of the data for study in their space program!. This was one of the first instances of a government admitting to be researching anti-gravity. The manuscripts did not say definitely that interplanetary travel was ever made but did mention, of all things, a planned trip to the Moon, though it is not clear whether this trip was actually carried out. However, one of the great Indian epics, the Ramayana, does have a highly detailed story in it of a trip to the moon in a Vimana (or “Astra”), and in fact details a battle on the moon with an “Asvin” (or Atlantean) airship. This is but a small bit of recent evidence of anti-gravity and aerospace technology used by Indians. To really understand the technology, we must go much further back in time. Flight Route of Rama (source: Vimana in Ancient India – By Dileep Kumar Kanjilal ). The so-called “Rama Empire” of Northern India and Pakistan developed at least fifteen thousand years ago on the Indian subcontinent and was a nation of many large, sophisticated cities, many of which are still to be found in the deserts of Pakistan, northern, and western India. Rama existed, apparently, parallel to the Atlantean civilization in the mid- Atlantic Ocean, and was ruled by “enlightened Priest-Kings” who governed the cities. 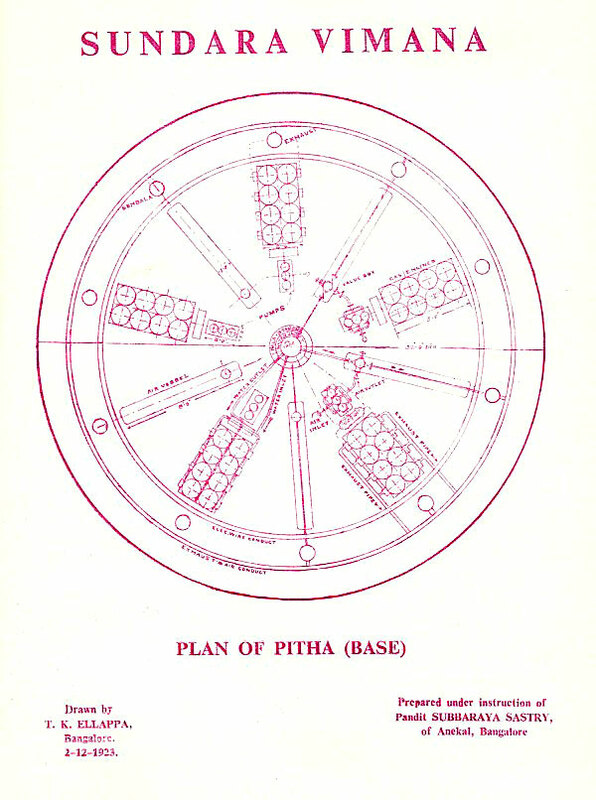 The seven greatest capital cities of Rama were known in classical Hindu texts as The Seven Rishi Cities According to ancient Indian texts, the people had flying machines which were called “Vimanas.” The ancient Indian epic describes a Vimana as a double deck, circular aircraft with portholes and a dome, much as we would imagine a flying saucer. It flew with the “speed of the wind” and gave forth a “melodious sound.” There were at least four different types of Vimanas; some saucer shaped, others like long cylinders (“cigar shaped airships”). The ancient Indian texts on Vimanas are so numerous, it would take volumes to relate what they had to say. The ancient Indians, who manufactured these ships themselves, wrote entire flight manuals on the control of the various types of Vimanas, many of which are still in existence, and some have even been translated into English. 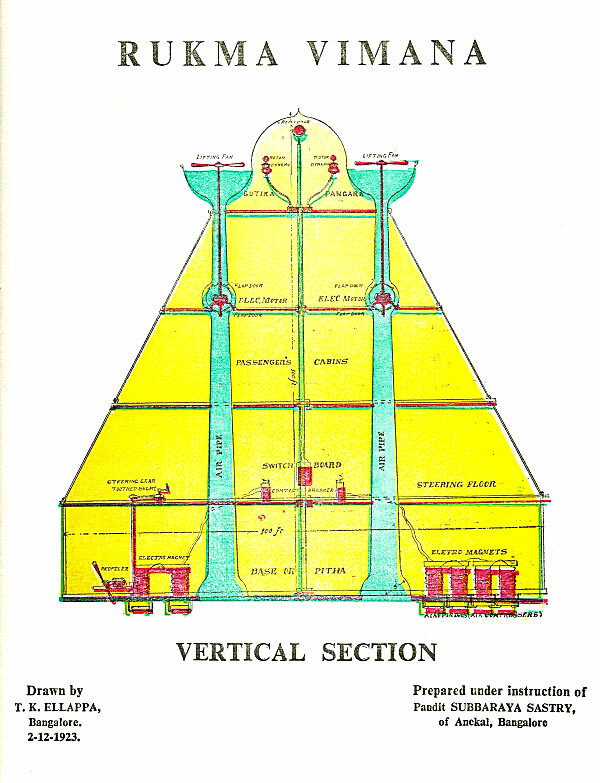 The Samaraanganasutraadhaara is a scientific treatise dealing with every possible angle of air travel in a Vimana. (by Maharishi Bharadwaaja, translated into English and edited, printed and published by Mr. G. R.Josyer, Mysore, India, 1979). G. R. Josyer is the director of the International Academy of Sanskrit Investigation, located in Mysore. There seems to be no doubt that Vimanas were powered by some sort of “anti-gravity.” Vimanas took off vertically, and were capable of hovering in the sky, like a modern helicopter or dirigible. 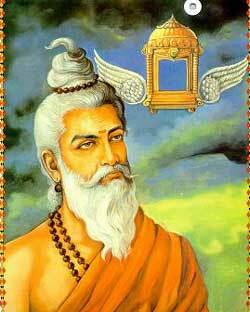 Bharadwaj the Wise refers to no less than seventy authorities and 10 experts of air travel in antiquity. These sources are now lost. Vimanas were kept in a Vimana Griha, a kind of hanger, and were sometimes said to be propelled by a yellowish-white liquid, and sometimes by some sort of mercury compound, though writers seem confused in this matter. It is most likely that the later writers on Vimanas, wrote as observers and from earlier texts, and were understandably confused on the principle of their propulsion. The “yellowish- white liquid” sounds suspiciously like gasoline, and perhaps Vimanas had a number of different propulsion sources, including combustion engines and even “pulse-jet” engines. Another work called the Samaranganasutradhara describes how the vehicles were constructed. It is possible that mercury did have something to do with the propulsion, or more possibly, with the guidance system. Curiously, Soviet scientists have discovered what they call “age old instruments used in navigating cosmic vehicles” in caves in Turkestan and the Gobi Desert. The “devices” are hemispherical objects of glass or porcelain, ending in a cone with a drop of mercury inside. It is evident that ancient Indians flew around in these vehicles, all over Asia, to Atlantis presumably; and even, apparently, to South America. Writing found at Mohenjodaro in Pakistan (presumed to be one of the “Seven Rishi Cities of the Rama Empire”) and still un deciphered, has also been found in one other place in the world: Easter Island!. Writing on Easter Island, called Rongo-Rongo writing, is also un deciphered, and is uncannily similar to the Mohenjodaro script. Was Easter Island an air base for the Rama Empire’s Vimana route?. The Vedas, ancient Hindu poems, thought to be the oldest of all the Indian texts, describe Vimanas of various shapes and sizes: the “ahnihotravimana” with two engines, the “elephant-vimana” with more engines, and other types named after the kingfisher, ibis and other animals. Unfortunately, Vimanas, like most scientific discoveries, were ultimately used for war. Atlanteans used their flying machines, “Vailixi,” a similar type of aircraft, to literally try and subjugate the world, it would seem, if Indian texts are to be believed. The Atlanteans, known as “Asvins” in the Indian writings, were apparently even more advanced technologically than the Indians, and certainly of a more war-like temperament. Although no ancient texts on Atlantean Vailixi are known to exist, some information has come down through esoteric, “occult” sources which describe their flying machines. Similar, if not identical to Vimanas, Vailixi were generally “cigar shaped” and had the capability of maneuvering underwater as well as in the atmosphere or even outer space. Other vehicles, like Vimanas, were saucer shaped, and could apparently also be submerged. Vailixi were first developed in Atlantis 20,000 years ago, and the most common ones are “saucer shaped of generally trapezoidal cross- section with three hemispherical engine pods on the underside. They use a mechanical antigravity device driven by engines developing approximately 80,000 horse power. The Ramayana, Mahabharata and other texts speak of the hideous war that took place, some ten or twelve thousand years ago between Atlantis and Rama using weapons of destruction that could not be imagined by readers until the second half of this century. It would seem that the Mahabharata is describing an atomic war!. References like this one are not isolated; but battles, using a fantastic array of weapons and aerial vehicles are common in all the epic Indian books. One even describes a Vimana-Vailix battle on the Moon!. The above section very accurately describes what an atomic explosion would look like and the effects of the radioactivity on the population. Jumping into water is the only respite. When the Rishi City of Mohenjodaro was excavated by archaeologists in the last century, they found skeletons just lying in the streets, some of them holding hands, as if some great doom had suddenly overtaken them. These skeletons are among the most radioactive ever found, on a par with those found at Hiroshima and Nagasaki. Ancient cities whose brick and stonewalls have literally been vitrified, that is-fused together, can be found in India, Ireland, Scotland, France, Turkey and other places. There is no logical explanation for the vitrification of stone forts and cities, except from an atomic blast. Further more, at Mohenjo-Daro, a well planned city laid on a grid, with a plumbing system superior to those used in Pakistan and India today, the streets were littered with “black lumps of glass.” These globs of glass were discovered to be clay pots that had melted under intense heat! With the cataclysmic sinking of Atlantis and the wiping out of Rama with atomic weapons, the world collapsed into a “stone age” of sorts, and modern history picks up a few thousand years later Yet, it would seem that not all the Vimanas and Vailixi of Rama and Atlantis were gone. Built to last for thousands of years, many of them would still be in use, as evidenced by Ashoka’s “Nine Unknown Men” and the Lhasa manuscript. That secret societies or “Brotherhoods” of exceptional, “enlightened” human beings would have preserved these inventions and the knowledge of science, history, etc., does not seem surprising. Many well known historical personages including Jesus, Buddah, Lao Tzu, Confucious, Krishna, Zoroaster, Mahavira, Quetzalcoatl, Akhenaton, Moses, and more recent inventors and of course many other people who will probably remain anonymous, were probably members of such a secret organization. It is interesting to note that when Alexander the Great invaded India more than two thousand years ago, his historians chronicled that at one point they were attacked by “flying, fiery shields” that dove at his army and frightened the cavalry. These “flying saucers” did not use any atomic bombs or beam weapons on Alexander’s army however, perhaps out of benevolence, and Alexander went on to conquer India. It has been suggested by many writers that these “Brotherhoods” keep some of their Vimanas and Vailixi in secret caverns in Tibet or some other place is Central Asia, and the Lop Nor Desert in western China is known to be the center of a great UFO mystery. Perhaps it is here that many of the airships are still kept, in underground bases much as the Americans, British and Soviets have built around the world in the past few decades. Still, not all UFO activity can be accounted for by old Vimanas making trips to the Moon for some reason. Unknown alloys have been revealed in the ancient palm leaf manuscripts. The writer and Sanskrit scholar Subramanyam Iyer has spent many years of his life deciphering old collections of palm leaves found in the villages of his native Karnataka in southern India. One of the palm leaf manuscripts they intend to decipher is the Amsu Bodhini, which, according to an anonymous text of 1931, contains information about the planets; the different kinds of light, heat, color, and electromagnetic fields; the methods used to construct machines capable of attracting solar rays and, in turn, of analyzing and separating their energy components; the possibility of conversing with people in remote places and sending messages by cable; and the manufacture of machines to transport people to other planets! In one episode, for example, the Vrishnis, a tribe whose warriors include the hero Krishna, are beset by the forces of a leader named Salva. The Saubha is at once Salva’s city, flagship, and battle headquarters. In it, he can fly wherever he chooses. Fortunately, the Vrishni heroes are similarly well equipped, and at one point have Salva at their mercy. The hero Pradyumna is about to finish him off with a special weapon, when the highest gods stop him “Not a man in battle is safe from this arrow,” they say, and declare that Salva will fall to Krishna. Krishna took to the sky in pursuit of Salva, but his Saubha clung to the sky at a leagues length… He threw at me rockets, missiles, spears, spikes, battleaxes, three-bladed javelins, flame-throwers, without pausing… The sky… seemed to hold a hundred suns, a hundred moons… and a hundred myriad stars. Neither day nor night could be made out, or the points of a compass. Krishna, however, wards off Salva’s attack with what sounds like antiballistic missiles; I warded them off as they loomed towards me. With my swift-striking shafts, as they flashed through the sky, And I cut them into two or three pieces with mine — There was a great din in the sky above. However, the Saubha becomes invisible. Krishna then loads a special weapon, perhaps an ancient version of a smart bomb? I quickly laid on an arrow, which killed by seeking out sound, to kill them… All the Danavas [Salva’s troops] who had been screeching lay dead, killed by the blazing sun like arrows that were triggered by sound. However, the Saubha itself escaped the attack. Krishna fires his “favorite fire weapon” at it, a discus shaped like the “haloed sun”. The discus breaks the Saubha in two, and the city falls from the sky, killing Salva. This is the end of the Mahabharata. One of the most intriguing thing about it is that the use of Pradyumna’s special arrow, from which “not a man in battle is safe”, was outlawed by the gods. What sort of weapon could this be? Another chapter, describing the use of the Agneya weapon by the hero Adwattan. When the weapon, a “blazing missile of smokeless fire” is unleashed; dense arrows of flame, like a great shower, issued forth upon creation, encompassing the enemy… A thick gloom swiftly settled upon the Pandava hosts. All points of the compass were lost in darkness. Fierce winds began to blow. Clouds roared upward, showering dust and gravel. Birds coked madly… the very elements seemed disturbed. The sun seemed to waver in the heavens. The earth shook, scorched by the terrible violent heat of this weapon. Elephants burst into flame and ran to and fro in a frenzy… over a vast area, other animals crumpled to the ground and died. From all points of the compass the arrows of flame rained continuously and fiercely. Gurkha, flying in his swift and powerful Vimana, hurled against the three cities of the Vrishnis and Andhakas a single projectile charged with all the power of the universe. An incandescent column of smoke and fire, as brilliant as ten thousand suns, rose in all its splendor. It was the unknown weapon, the iron thunderbolt, a gigantic messenger of death which reduced to ashes the entire race of Vrishnis and Andhakas. The corpses were so burnt they were no longer recognizable. Hair and nails fell out. Pottery broke without cause… Foodstuffs were poisoned. To escape, the warriors threw themselves in streams to wash themselves and their equipment. This entry was posted on January 21, 2015 by Sanatan Dharm and Hinduism in ASTROPHYSICS, BALMIKI RAMAYAN, BHAGVATGITA, BHAGVATPURAN, BHARAT, GITA, HINDU SCRIPTURES, HINDUISM, hinduism in world, KRISHNA, MAHABHARAT, SANATAN DHARMA, UFO AND CROP CIRCLES and tagged ANCIENT AEROPLANE, ancient astronauts, ancient Indian, Emperor Ashoka, flying saucer, INDIA, Krishna Murty, UFO.